It is headache if your scrap car consumes ample space and you are helpless. Origin Cash for Cars has expanded operation in Morisset as well to offer you hassle-free Car Removal service. We keep in consideration even minute factors like facilitating services to all and sundry even in remotest locations. No need to worry about scrap cars in Morisset or surrounding regions. 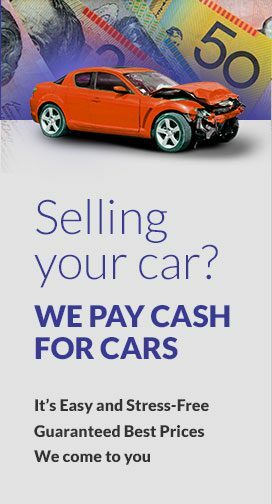 We offer high Cash for Cars and other vehicles in Morisset. Our team picks your car from any place here and that too without charging additional fee for removal. Vehicle owners may approach us here to avail the free service. Our company maintains policy to offer instant cash for cars once a Car Removal task undergoes. We give car owner’s convenience prime value and remove a car accordingly. What appeals people to approach us? Morisset has witnessed emergence of many service providers but its people give Origin Cash for Cars prime value. They have developed this trust in us after assessing our zeal. We are licensed team and assure you for best deal on used cars, trucks, 4wds, utes, vans and SUVs et al. Our team is always ready to remove vehicles in all conditions whether completely damaged or in reasonably good condition for best price value. We decide price value after keen vehicle observation. We are a call away for Car Removal purpose. Call us at 0426 707 283 to get connected to a team member of Origin Cash for Cars in Morisset. You can also put queries online by filling the form on this website to approach us for quotes and best Cash for Cars deals from us.